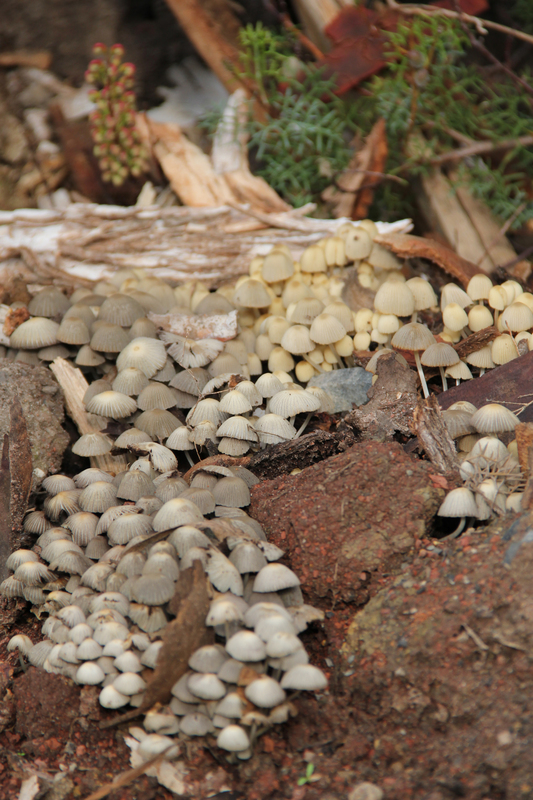 I saw it at work as I was heading off to photograph an event and was captivated by the way it looked like a little fungi village, so I captured it on my way back. A few days later, it was gone. And that’s exactly how life feels at the moment: it’s full of glorious moments, but they pass far too quickly. Lately, life has been full of adventures in the country, glorious op shop finds, plenty of music and a great deal of knitting. I have so much to catch up on, if only I could find the time. If anyone knows the trick to slowing down and savouring every minute, please share it. At the moment, my only solution is to consider giving up sleep and I just don’t think that will end well. Win the lottery! It won’t slow down time, but without having to go to work each day, it would certainly open up more time. Unfortunately, you have about as much control over both. But it would be nice, wouldn’t it? And just think of all the extra craft materials, cameras, etc that one could purchase! The Chef is pursuing this course of action but it has yet to yield any results, alas. It’s still nice to imagine what I could achieve if I could make more use of those valuable hours I spend at work! I can relate – I always seem to have a growing mound of things to do and never enough time! I’ve learnt that the best way out is to recognise that most of the things aren’t actually that important and the world won’t fall apart if I let them slip away. (Unless I have a big project deadline looming. Then the only thing for it is to hang on tight and try to enjoy the ride). I’m not very good at the letting go part yet, but I am trying. It’s a difficult lesson to learn and I’m afraid I’m completely rubbish at it (which probably explains why I currently believe the solution lies in giving up sleep). Hopefully we’ll both work it out! Yes, best of luck. If only there was a quick fix!